What am I doing again? I forget, so I’m writing this. I sometimes take these mental snapshots what’s going on in my world in a particular moment and I wonder if other people would think I was crazy if they were to look in. 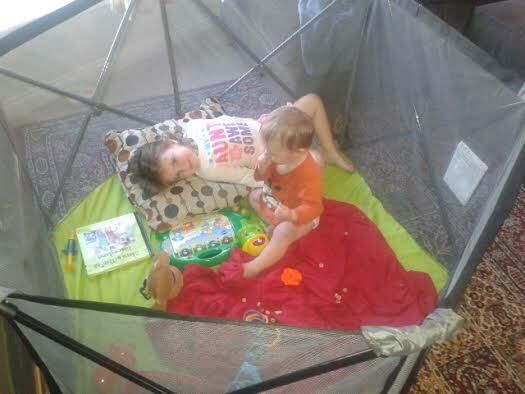 3 yr old in a pack n play in the living room playing with some musical toy thing because she wanted to “take her nap” in there right now and I gave in because she’s keeping the baby awake in their shared room. Baby’s now crying in the other room because he was woken from nap and doesn’t want to go back to sleep. I’m on the phone with a parent trying to answer some questions. I have a half-written email drafted up that I’ve been working on for I don’t know, an hour? 3 yr old asked for water (while I’m on the phone), and after pouring the cup, I walk into the bedroom to give it to the baby before realizing that was the wrong person, thereby making baby cry even louder now that he saw me. I try to rush out of the room before the parent on the phone notices the noise. Meanwhile I see that a new email has come through in my outlook that I need to address right away. I mean, I’m not complaining. If anything, I’m laughing. 🙂 This is just the life of a work at home mom. I’m sure lots of other people are in the same boat at me. It’s just that when I’m on these calls or answering these professional-sounding emails, I wonder if the person on the other end has any idea at all what’s really going on over here on this end! I may be going crazy here. I just might. But I also can’t imagine not being home with these kids. I gave up and got the baby and now they’re playing together. Who needs a nap, right? Yay for earlier bed times! By the way, we JUST got this portable play yard (Summer Infant Pop ‘n Play Portable Playard ) so we could take camping but I’m trying it now and it’s fantastic.